Aaron Ross’ book, Preditctable Revenue, completely changed how startups think about and execute sales. You would be hard pressed to find a successful SaaS salesperson or executive who hasn’t read it. It is not a stretch to say that Predictable Revenue singlehandedly changed the perception of cold calling from a a traditional “smile and dial” process into the systemized, multi-channel, and data-driven process it is today. Jason Lemkin, the serial startup founder, most recently of EchoSign, and VC at Storm Ventures, is arguably the most influential advice giver to the current crop of fast growing B2B SaaS startups with his hundreds of Quora answers, the popular SaaStr blog, and the SaaStr Annual Conference, now in its second year. When two people as experienced and knowledgeable in sales and the science of building high growth Saas businesses combine, its bound to be great. “From Impossible to Inevitable: How Hyper-Growth Companies Create Predictable Revenue” does not dissapoint. This book contains no hype, just actionable advice on building the systems and processes that you can use to grow your SaaS business. Remember: systems and processes scale; hacks don’t. The key insight of this book is that the path to hypergrowth comes from highly focused efforts that are then tested to refinement and systemized to scale. This first starts when choosing a market to go after. Many startup founders simply se TAM (Total Addressable Market) to accomplish this. From Impossible instead suggests going after the market where you can provide the most value, then scaling from there. This idea may seem counterintuitive to some, but in an age where customers have more choices than ever and vendors have more competition than ever, it makes perfect sense. The company that knows its customers better than anyone else, wins. Tangible Results – do you have the numbers to back up your value proposition? Believable Solutions – can you show prospects a clearly how your product will solve their problems? Identifiable Targets – do you know exatly who your product is for and how to reach them? Unique Genius – do you know what makes your product unique and why people choose you over your competitors? From Impossible includes a helpful Niche Matrix that you can use to define your niche. Download it here. To skeptics, customer success can seem like just another buzzwordy startup term for what used to be known as customer support. This couldn’t be further from the truth. For startups, creating a predictable system to make customers successful can be a huge driver of new leads and revenue from existing customers. Customer success teams have the closest relationship with customers and are a critical part in generating referrals, creating case studies, and upselling current customers. That’s why customer success teams should own a number. This can be a reduction in churn, revenue from upsells, or a certain number of referrals. For early stage SaaS startups, happy customers can be a critical component of growth by ramping up leads from word of mouth. Customer success teams should also be driven by data, using indicators such as data from your helpdesk, calling metrics, and product usage to gauge overall customer satisfaction. Growing sales, more than any other function of your business, depends on a successful and repeatable hiring process. From Impossible specifies that the most common hiring mistake is hiring someone that is simply wrong for your stage. Examples include hiring a “corporate marketer” from a successful enterprise SaaS company when what you really need is a demand generation marketer to ramp up customer acqusition in a scalable way. This also applies for hiring a VP of Sales. While it is tempting to hire someone with a proven playbook that will come into your company and implement it exactly how they did it at their past company, this probably will not work because every business has different needs. When it comes to salespeople, From Impossible recommends hiring two of every position you hire for. This will give you real data to benchmark against so you know what’s working and if the problem is the salesperson or the sales process. Something that a lot of early stage sales leaders tend to overlook is the value of a structured training program. Not shadowing sales reps or roleplaying, but an actual program with lessons, goals, and a predictable ramp up time. 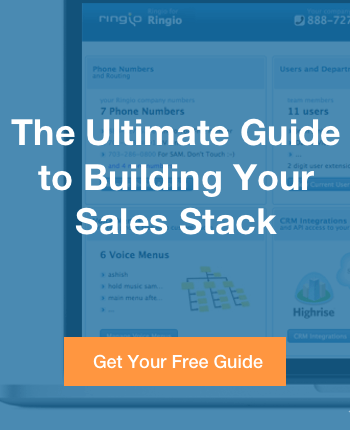 Continuously optimizing your sales training program is a key part of scaling sales. 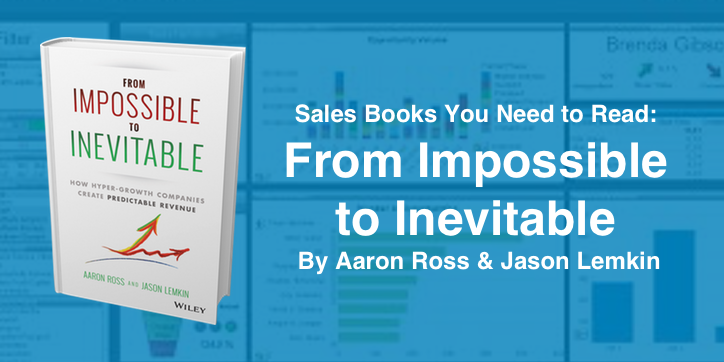 From Impossible also highlights one of sales most underappreciated role: sales operations. As you scale sales, sales operations ensure that the technology and processes you use scale with you. This is an important role that will improve productivity across the board. When your constantly trying to hit higher revenue goals, you can’t afford to have your salespeople fighting with the technology they use. 4. For Hypergrowth, You’ll Need to Increase Your Deal Size. Pricing is one of the hardest things to set for SaaS startups. Set your prices too low and you’re leaving money on the table when you can’t afford to. Set prices too high and you risk losing deals that you should have won. It’s no wonder that SaaS startups usually approach pricing discussions with a high degree of fear and cautiousness. The reality is that if you nail your niche and know exactly the value that you can provide to customers, pricing comes easily. Jason Lemkin makes the distinction between selling tools and solutions. Businesses will buy tools, but only up to a certain price point. On the other hand, selling a solution that can solve real business problems in a believable way lets you set your price as high as you want, and your customers will still pay. SaaS startups should constantly increase prices and sell solutions, not tools. As long as you correctly show the value of your product and communicate it clearly, you’ll be able to increase prices. And you’ll have to increase prices if you really want to grow. Small deals are great when you’re first starting out, but to really get scale revenue, you have to increase your deal size. How can you increase your deal size? From Impossible suggests thinking backwards by asking “What conditions have to exist for us to close deals that are 10x larger than our current deals?”. is it new features for managers? Professional services? Or maybe doubling prices and adding another pricing tier? Whatever it is, you need to experiment and find the key to growing your average contract vlaue. In conclusion, “From Impossible To Inevitable: How Hyper-Growth Companies Create Predictable Revenue” is a book that SaaS founders, sales leaders, and employees simply can’t afford to miss. Click here to purchase the book. Your competitors are already reading it!